Are you tired of stressing about paying your bills? Do you need a savings plan for your future? PGE Credit Union is here to HELP! We will guide you through the simple process of controlling your finances and help make this YOUR Happy Financial New Year. Better understanding of money management and creating a budget, is the first step towards attaining your financial freedom. Get started today! Fill in the inquiry form and a Member Services Representative will contact you soon! Looking to put more money in your pocket in 2019? 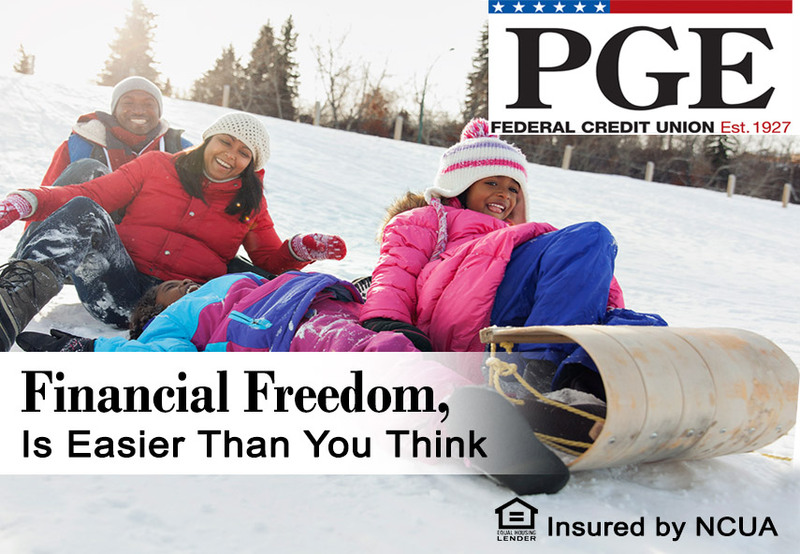 Let’s explore these PGE Credit Union products and make your goals a reality. Please let us know your phone number if we need to contact you. Federal EmployeesProvidence Public SchoolsFederal Buildings in RI Which group applies to you.